With its tax-friendly environment and proximity to Toronto, Aurora is rapidly becoming an ideal location for businesses small and large. Whether you’ve been running a business in Aurora for years or are just starting one thanks to recent economic growth, you and your employees need a workspace where you can thrive. How do you create that kind of workplace? Hiring the right people and establishing a great company culture is part of it, but you also need to consider the physical space that you’re working in. If you and your employees are in a cramped office with worn out furniture and bland cubicles that have been in place since the ‘80s, how can you expect to reach your full potential? To create the optimal work environment, call Alliance Interiors. We’re an experienced office interior design company that also assists in space planning, corporate moving, and furniture procurement (think of us as your all-in-one office upgrade specialists). We take pride in finding the best design solutions for each individual local business we work with, whether you’re a solo entrepreneur working out of your home or a self-starter who now manages 200 employees. Is It Worth It to Redesign Your Aurora Office with Alliance Interiors? Maybe you and your employees just got settled in a new building. Or maybe you’ve been working in the same place, with the exact same office layout, for the past 10 years and don’t see any problem. Whatever the case, why should you consider redesigning your office with the help of Alliance Interiors? So does your Aurora office need to be redesigned? It’s up to you to decide, but we hope that you’ll recognize the benefits of working with Alliance Interiors and will give us a chance to show you just how we can improve your workspace. When Should You Call Alliance Interiors? You want to set up or fix up a home office. Don’t think that you have to own or rent a large corporate space to work with Alliance Interiors. We’re more than happy to help you optimize a home office so that you can successfully separate your personal and professional life and get more done. Your business is moving. Alliance Interiors assists in corporate relocation, whether you’re just rearranging the departments within your building, moving to a different floor, or moving to a new building altogether. We’ll bring in a moving team and make the transition as easy as possible on you. 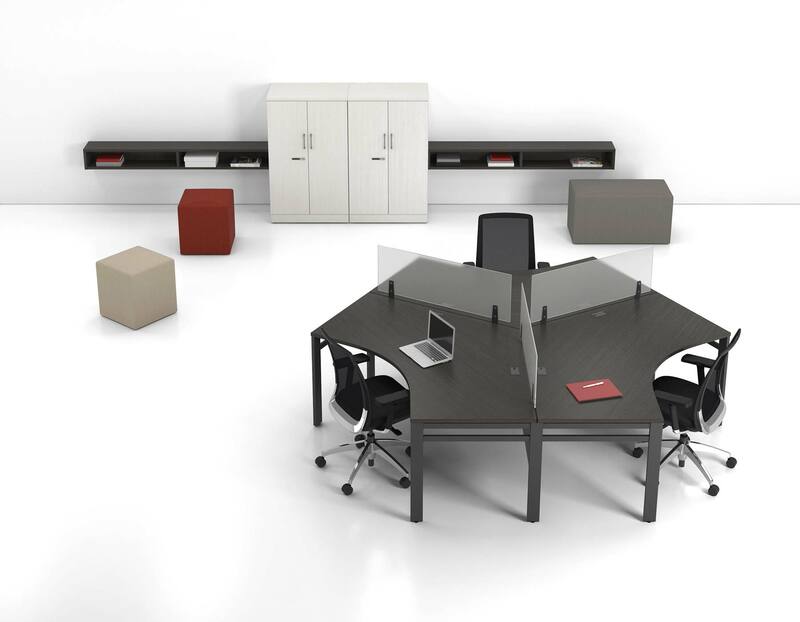 You want to remodel your workspace, but don’t know where to start. Our team excels at office project management, meaning we can help you turn a vague hope of remodeling into a concrete plan with a budget, construction drawings, and detailed design notes. You don’t think your current office layout is working. Maybe one of your employees has complained about being placed right next to the copier. Or maybe some of your team members can barely walk to their workstations because of poorly arranged desks. Whatever the case, Alliance Interiors will work with you to make the most out of your existing space and create a floor plan that works for you and your employees. You need new office furniture. If those desks that were built to last just haven’t lasted, if everyone’s leaving the office with sore backs because of their chairs, or if you can never find anything because you don’t have enough filing cabinets or organizational tools, let Alliance Interiors procure high-quality office furniture for you. We’ll work closely with you and these furniture vendors to ensure you’re getting quality furniture that meets your budget and your needs. Don’t just sit around daydreaming about turning your office into a better workplace; contact Alliance Interiors to start making that upgrade happen. We’d be happy to answer any of your questions and to set up an initial consultation if you decide you’d like to work with us. We’re flexible and work with businesses on any budget, so chances are, your office remodel will be a lot more affordable than you think it will be. We hope you’ll reach out to us to learn more about what we can do for you, your employees, and your business. We’ve already helped many businesses in Aurora and the greater Toronto area set up better work environments, and we hope you’ll become one of our satisfied customers, too.